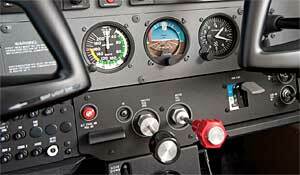 An Annual Inspection is required by the FAA for all aircraft operating within the United States. If the aircraft is used for certain commercial activities (such as flight training), it also must be inspected for every 100-hours of service. The Annual Inspection is based on the aircraft manufacturer's inspection requirements, drawn from FAA guidelines. When you provide your aircraft for inspection, you can expect that it will be opened as required. Willamette Aviation Maintenance provides all standard service items for piston singles and light-twins. This includes oil changes, tire replacement, lights, instrument replacement, and general troubleshooting. Please note that we do not provide service to avionics, anti-ice/de-ice systems, or oxygen systems. Whether it's caused by wear-and-tear or an unintended event, aircraft repair can be time-consuming. If your airplane is in need of repair work, we will ask you to be closely involved in the process so that you understand exactly what is happening, and why. Typical aircraft repair items include flat tires, rough magnetos, cracked cylinders, and displaced light fixtures. We are also able to examine aircraft that have been involved in incidents and accidents, which typically require more comprehensive repairs.